Good day to all! 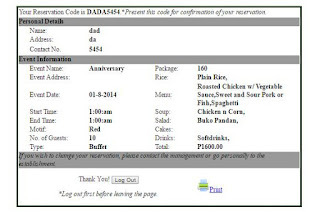 I have here another information system entitled “Online Catering Reservation System”. This was our capstone project when I was in college. The system used php and MySQL so there would be some errors when used with the latest wamp/xampp/lamp. 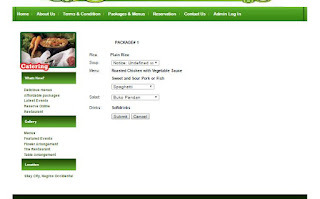 The Online Catering Reservation System allows a customer to reserve catering online. 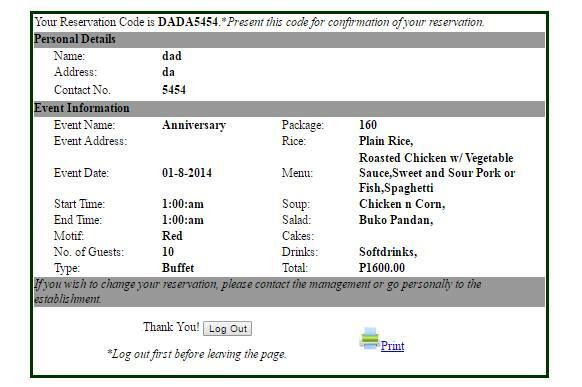 Similar with other systems related to reservation, it has a capability to trap errors to detect conflict on confirmed catering reservations. The admin can also manage the reservations, category, menus and even generation of confirmed, unconfirmed reservations and can be printed. 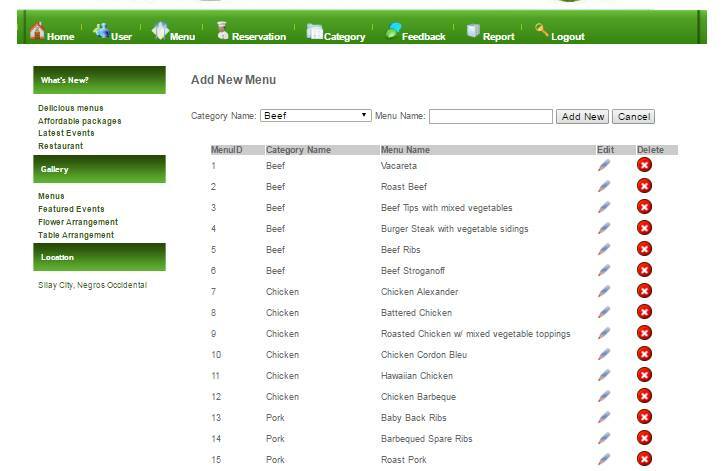 To be able to reserve online, the customer needs to register and login first. Then, select available packages together with the reservation details. I'll just provide a link for the file when I got a stable internet connection.